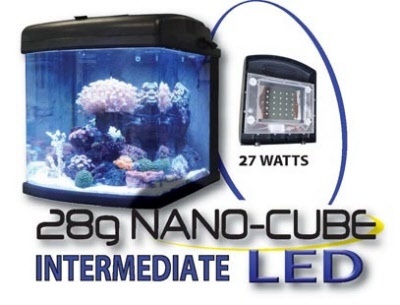 The innovative all-in-one aquarium, whether you are a beginner trying your first freshwater tank or an advanced marine enthusiast looking to add a Nano Cube reef. The lighting increases PAR (Photosynthetically Active Radiation) which designates the spectral range from 400 - 700 nanometers for the development of photosynthetic lifeforms. 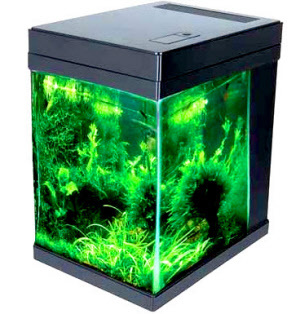 Corals and aquatic plants will thrive in this aquarium. 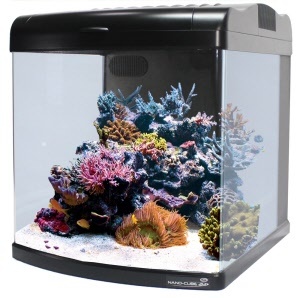 12 Gal JBJ NanoCube DELUXE now includes integrated cooling fans in the flip-top canopy. MT-402. 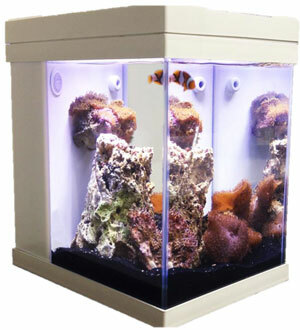 Great for freshwater and saltwater reef tanks.